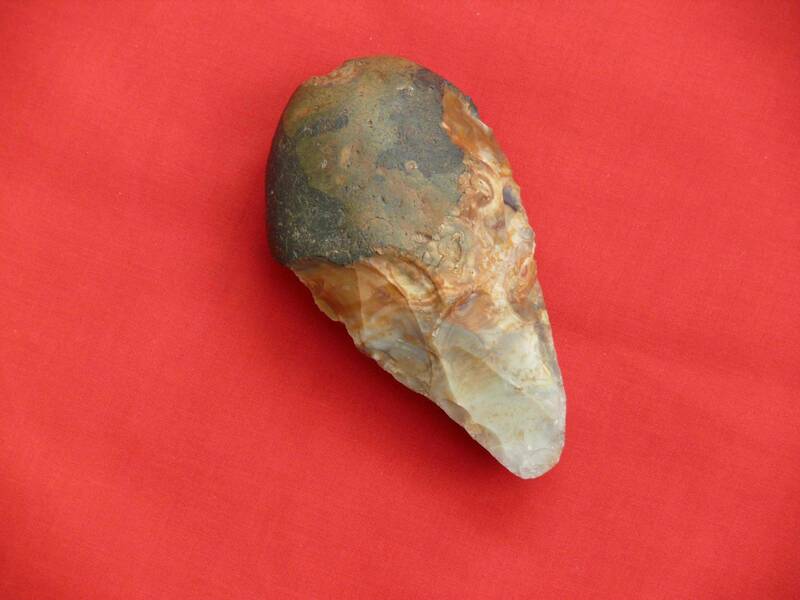 This is a replica handaxe that I made in my archaeology days. It’s turned out to be invaluable as a demonstration of assorted useful concepts, though I didn’t expect that when I made it. What would your response be if someone asked you whether that handaxe is Windows-compatible? You’d probably be surprised by the question, because it’s meaningless. As for explaining why it’s meaningless, though, that’s not so immediately obvious. This is where range of convenience comes in. It’s from George Kelley’s approach to psychology, namely Personal Construct Theory (PCT). It dates from the 1950s, but still has a strong following today because it offers a clean, systematic, rigorous way of modeling how people think. PCT has a rich, well-developed set of concepts for handling language and categorisation and ideas. Range of convenience is one of those concepts. In brief, PCT argues that any word can only be meaningfully applied within a particular range of contexts, i.e. the range of convenience. Sometimes that range is narrow; for instance, the concept of Windows-compatible can only be used meaningfully when applied to computer equipment. Sometimes the range is broad; for instance, the adjective good can be applied to a huge range of things. Some concepts have sharply-defined ranges of convenience, such as Windows-compatible. In general, either an item can definitely be categorised in terms of Windows compatibility, or it definitely can’t. Other concepts, though, have a much more fuzzy boundary to their range of convenience, and that’s where problems can arise. Range of convenience is a useful concept, and it helps make sense of a lot of things that you know to be wrong, but without being able to put your finger on quite why you’re sure they’re wrong. Other useful concepts will follow in later posts. This entry was posted in categorisation, metalanguage, useful concepts and tagged George Kelly, Personal Construct Theory, range of convenience, semantic differential by hydeandrugg. Bookmark the permalink.